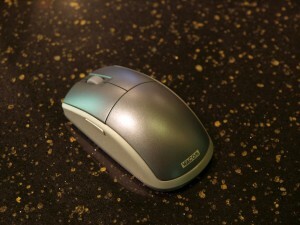 This is a picture of a Wacom Intuos3 Five Button Mouse. Most artists I know of prefer to use the Wacom Intuos3 Pen over the mouse as it has a bit more fine control. This was a quick little shoot to test out the Macro functionality of my new camera and see how it handled low light conditions. Over all, I think it turned out pretty good!